about your topic? Do you notice any patterns in your pre-writing? 2. Focus on the rank of each detail. What three details are more interesting, significant, revealing or strange? and the point you want to make about it. answer. After you have created the question, develop the answer. 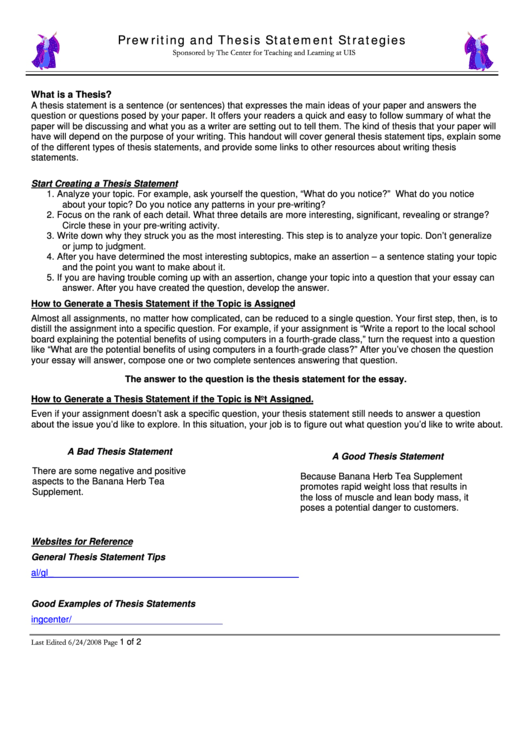 your essay will answer, compose one or two complete sentences answering that question. about the issue you’d like to explore. In this situation, your job is to figure out what question you’d like to write about. poses a potential danger to customers.